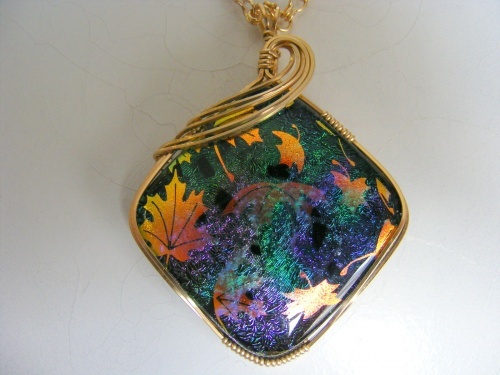 This beautiful piece of handmade dichroic glass is enhanced with pretty leaves of gold. Piece has a raibow of colors to match any outfit, blues, purples, greens and black and enhanced with 14k gold filled swirls. This is going to make you feel amazingly pretty when worm. Comes with gold filled chain.